When it comes to understanding the real-business impact of the big data era, look no further than the exponential growth rate of the Apache Hadoop architecture. The open source technology is fast becoming the de-facto standard for big data management packages. With that, it has also become an important part of business intelligence solutions (BI) which are working tirelessly to make sense of all this data. This could include predictive analytics and analysis of social media metrics, RFID tag analysis, data mining, visualization of sales data, and much more. Most organizations from mid-size to Fortune 500 companies, have some sort of data warehouse set up, where data is collected, sorted and stored. Hadoop offers a data management architecture, that sits beside most DW infrastructures, that can help manage structured and unstructured data at higher speeds and at lower costs. This Hadoop architecture is making it possible for organizations to manage their big data liabilities and the growing need to process, store and analyze this data quickly. The analyst firm Market Analysis, predicts that the Hadoop market (hardware, software and services) will grow at a compound annual growth rate (CAGR) 58% surpassing $16 billion by 2020 (Source: Market Analysis). Even more surprising are numbers cited by MIT Technology Review. This study tells us that less than .5% of data collected, ever gets analyzed or used (Source: MIT Technology Review). Of course, not all data that is collected SHOULD BE ANALYZED! But, it’s clear that organizations are accumulating more data than ever before. And, they are looking for more effective strategies for unlocking the real business value of data. If you are dealing with management challenges around big data, you may want to consider innovative options from service providers and cloud providers. 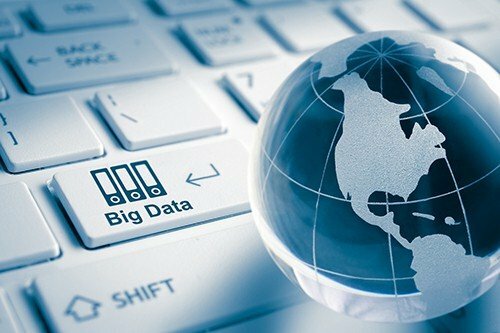 Big data-as-a-service- Big data infrastructure providers deliver the servers, networking, and software for organizations to manage big data. Most manage the operations so customers are freed to actually study their data and make smarter decisions about the business. Often offered through a cloud-based model, these services are configured for performance, reliability, and security which (in theory) makes it easy to scale. If you’re serious about exploring these options, be sure to ask the service provider if they deliver more than the Hadoop architecture through a cloud-based model. For example, management, operations and continuous support are important elements to any successful big data platform. Hadoop as-a-service- The challenges around running Hadoop on-prem are well documented: tough to find skilled resources, mixed workloads can cause jobs to fight for resources, troubleshooting can take hours, overbuying resources, scaling… just to name a few. Cloud-based Hadoop services are gaining traction because they tackle these challenges head on. Considering the unlimited scale and on-demand access to computing resources and storage capacity, with running Hadoop in the cloud, many believe cloud computing is the perfect match for big data processing. If you’re looking for ways to accelerate the time-to-value of your Hadoop deployment, these services may be able to help. Hadoop as-a-service makes large scale data processing more accessible, faster and in some cases less expensive than running the big data processing platform in-house. When it comes to today’s big data management challenges, most would agree that the Hadoop architecture (and its family of products: MapReduce, Pig, Hive, HBase, etc.) stand alone as THE open source, cost-effective option for providing scalable, big data analytics. If your organization is considering stepping up its game when it comes to extracting business value from your data, it’s important to do your research. Ask smart questions about how Hadoop, big data analytics services, and cloud options can fit into your overall big data strategy.